Anthony J. Ferrante is a Senior Managing Director and the Global Head of Cybersecurity at FTI Consulting. Mr. Ferrante is an expert in cybersecurity resilience, prevention, response, remediation and recovery services. 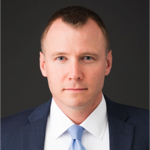 Mr. Ferrante has more than 15 years of top‐level cybersecurity experience, providing incident response and preparedness planning to more than 1,000 private sector and government organizations, including more than 175 Fortune 500 companies and 70 Fortune 100 companies. Mr. Ferrante maintains first‐hand operational knowledge of more than 60 criminal and national security cyber threat sets, and extensive practical expertise researching, designing, developing and hacking complex technical applications and hardware systems. Prior to joining FTI Consulting, Mr. Ferrante served as Director for Cyber Incident Response at the U.S. National Security Council at the White House where he coordinated U.S. response to unfolding domestic and international cybersecurity crises and issues. Building on his extensive cybersecurity and incident response experience, he led the development and implementation of Presidential Policy Directive 41 – United States Cyber Incident Coordination, the federal government’s national policy guiding cyber incident response efforts. Before joining the National Security Council, Mr. Ferrante was Chief of Staff of the FBI’s Cyber Division. He joined the FBI as a special agent in 2005, assigned to the FBI’s New York Field Office. In 2006, Mr. Ferrante was selected as a member of the FBI’s Cyber Action Team, a fly-team of experts who deploy globally to respond to the most critical cyber incidents on behalf of the U.S. Government. Mr. Ferrante previously served as an Adjunct Professor of Computer Science at Fordham University’s Graduate School of Arts and Sciences, where he served as the founder and co-director of the Master’s of Science in Cybersecurity program in the Graduate School of Arts and Sciences. During his time at Fordham University, he served as the co-director of the undergraduate and graduate cybersecurity research programs.